Krome Dispense Pvt. Ltd, is participating in Drinktec 2017 which is going to be held in Pragati Maidan Center, New Delhi, India from 26-28th Oct 2017 Visit us at our Hall No 7 , Booth No- 11B,63. We will be pleased to meet you there! This Event Showcase Product From Food & Beverage Industry. Krome Dispense Pvt. 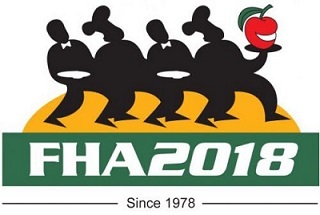 Ltd, is participating in FHA 2018 which is going to be held in SINGAPORE Visit us at our Stand No.- H4L4-01, We will be pleased to meet you there ! Krome Dispense Pvt. Ltd, is participating in Drinktec 2019 which is going to be held in BIEC Bangalore International Exhibition Centre , Bangalore , India from 10th April-12nd April 2019 Visit us at our Hall No 1 , Booth No- C015 We will be pleased to meet you there!